We know it can be lonley, draining and often thankless to be home with kids. We're thinking of you and are thankful for you. Raising children is among the most meaningful tasks in life. Covenant CRC Mommy and Me is a free group designed for moms and kids to get together weekly. We gather most Friday mornings from 10-11:30 at Covenant and on one Satuday monthly. Check the schedule for the upcoming dates. 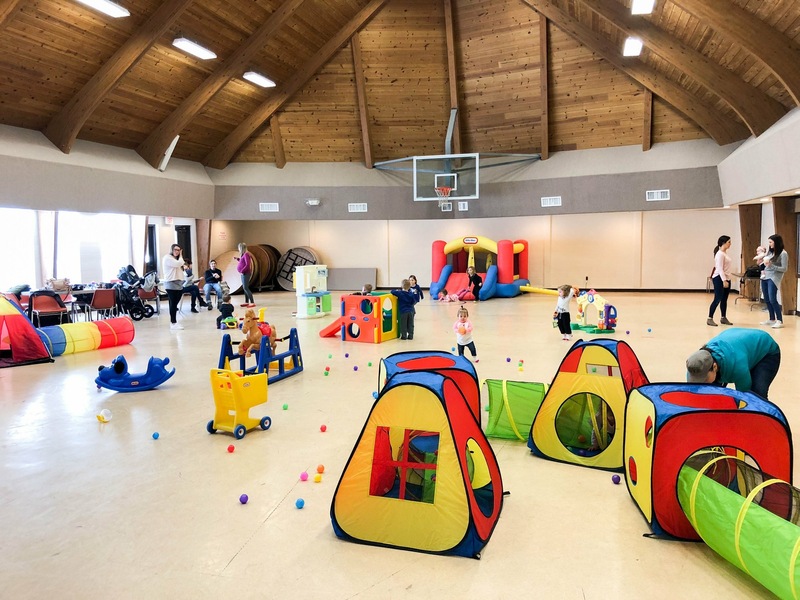 Toys and play-things are setup for kids to use, as well as a toddler bounce-house! Snacks and drinks are provided for kids! Coffee and refreshments are available for moms! Mommy and me is open to mothers with children age 0-preschool. For more information check the facebook page!